Although this famous artist (after whom one of the Teenage Mutant Ninja Turtles is named) is better known for his paintings, he was also an architect and designed a library in Florence, Italy. 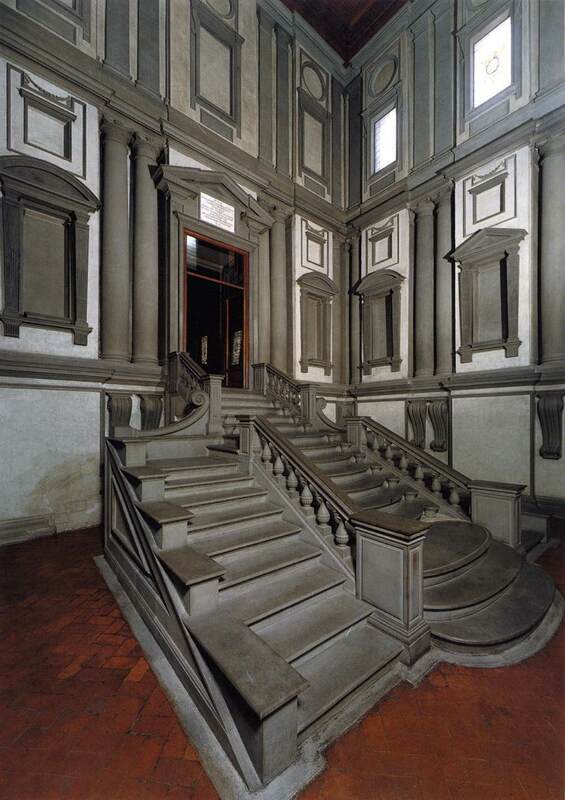 The entryway to the library has been of particular interest and about which Renaissance art historian Giorgio Vasari wrote, "in this stairway, he made such strange breaks in the design of the steps and he departed in so many details and so widely from normal practice, that everyone was astonished." Guess the artist in the poll below and come back tomorrow for the reveal, as well as more information about this remarkable artist.